semi-hiatus, due to uni & video-games! i like fictional characters and sport anime more than i like myself. seiyuus ruined my life with their perfection. heyy :) do you recommend battle royale? Ah.. oh god you basically describe how I feel about them. Like in the first episode, I just saw their chemistry when Rin came in. 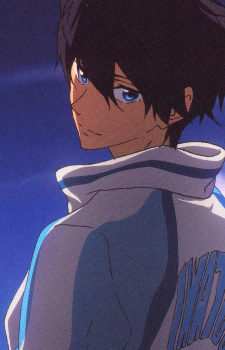 Haru even spotted him in the dark haha thats great. Yeah I agree with you about the part where they care about each other and that they really try to make up and stuff!